Today I have two cards to share with you, both based on CPS Sketch #250. If you frequent my blog at all, you will know that I love both CAS and extremely layered cards. I have used the sketch to create both types of cards, and I hope to do this on my blog more often in the future!! For my first card, I used lots of fun papers, diecuts and embellishments...here is what I created! Instructions: Make card from pink cardstock. Cut banner paper slightly smaller, and sand the edges. Cut four 1.75" squares from different papers, round the opposite corner on each one and sand the edges. Arrange and adhere to the middle of the banner paper block. Add three metal charms to the upper right side, and adhere the entire block to the card front. Cut two banners from patterned paper, and adhere to the top and bottom of the card. Add a fabric flower to the middle of the card, and accent the middle with a pearl ribbon charm. Tie a double bow from seam binding & twine, and tie together at the middle with two pink bells. Adhere the entire ribbon accent to the left side of the pearl ribbon charm. Adhere the sentiment flags to pins, and stick into the top of the flower. Stamp the word "4 EVER" right below the striped paper square. Add heart diecuts to the fussy cut banners, then stamp the pins to the top of each one. Accent the hearts with clear jewels to finish. For my second card, I did a very clean & simple version for the same exact sketch. I bought these Valentine's diecuts on Tuesday, and I felt like they were just perfect for this card!! I really love how it turned out! Instructions: Make card from kraft cardstock, then ink the edges. Adhere the diecut tickets to the middle of the card, then accent the middle with a jewel. Stamp "today, tomorrow, forever" right below the ticket on the end. Cut a letter sticker "x" to size, and adhere inside the box next to the word "yes" to finish. These are both fabulous! I just LOVE the new Valentine's paper! So pretty. I love a card that is really busy, and one that is clean and simple. You did both! Love it! I just got those tags on the 2nd card a couple of weeks ago. Great way to use them. Thanks for the inspiration! Wow, both are fabulous. The layered card looks so pretty with all the bells and whistles but I love the CAS look of the card you created for us. Thanks for joining us at the Paper Players. WOWZERS Lea! These cards are gorgeous but the first one definitely takes the cake!!!! SWOON.....I just LOVE the first one, all that shabby chic-ness makes me happyyyy! Thanks for playing with the Paper Players this week! Wow, what stunning cards! I love them both! 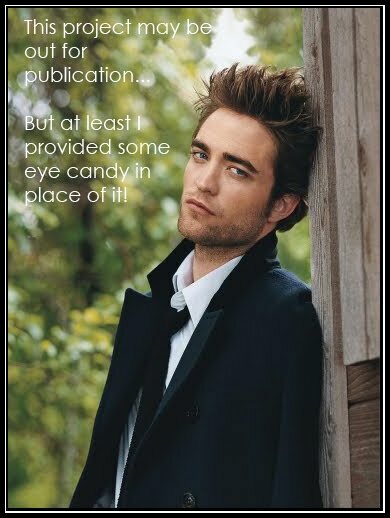 <3 Thanks for sharing. oh wow, two fabulous cards. I espcially love the top one, great layout and use of embellies too. Lea, these are both awesome!!!!!! Love how you used the same sketch!! Gorgeous work! Thanks for joining us at The Kraft Journal!! Lea your card is absolutely gorgeous. I love all the wonderful things you used on your card. Thank you so much for joining us for our "Red, Pink, and White" Challenge over at Inky Impressions Challenges. I hope you have a wonderful weekend and good luck. Pretty, pretty! 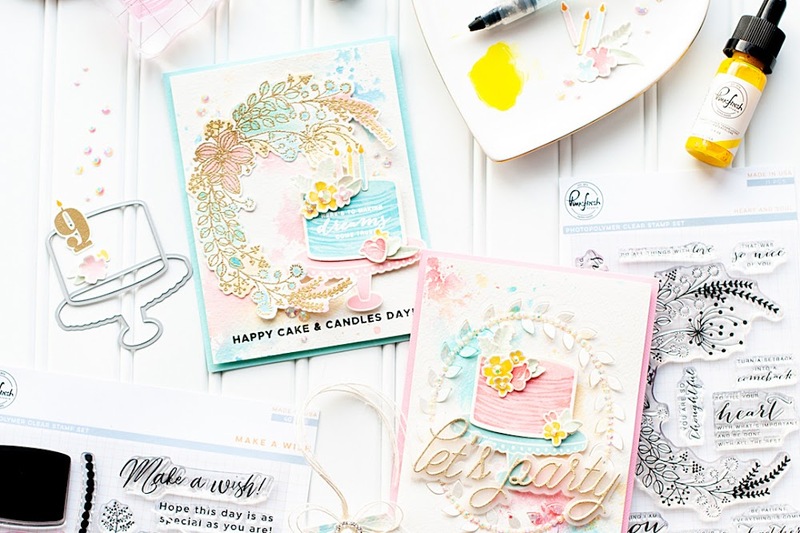 Both cards are lovely and that first one is an embellishment feast! The CAS is classy and crisp. 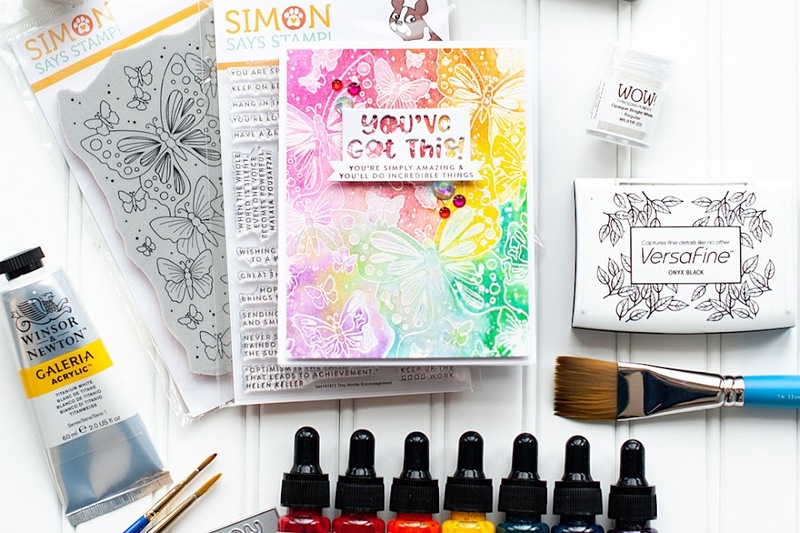 :-) Thanks so much for sharing your card with us this week at The Kraft Journal! Two wonderful cards Lea, I love the detailing on your first card, so much to look at! Thanks for joining us at The Ribbon Reel this week! WOW both your cards are simply gorgeous. I love the ribbons, and other embellishments on the first one :) Thanks for joining us at Inky Impressions this week! Beautiful cards Lea, I especially love the shabby chic look of the first card. Wow what a Beautiful card. Thanks for joining us at Inky Impressions. Amazing! I love both styles, really - they are equally as beautiful in their wonderful ways! Thank you so much for joining in on our hearts challenge at TPE! Fabulous cards Lea! I love the simplicity of the second card but my favorite is the first with all its wonderful details. Such a treat for my eyes! Thanks for playing with us at Inky Impressions. Thanks for joining in the InkyImpressionsChallenge. Oh I'm jealous. Both your cards are beautiful. And that is true talent to be able to do a collage card and then a CAS. amazing. 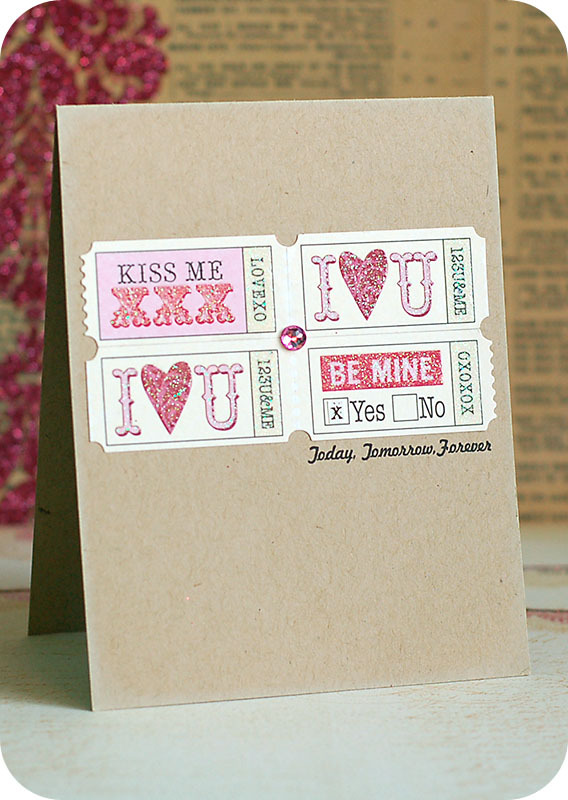 Thanks for playing in our "Valentine" Challenge at Clearly iStamp. Hope to see you on Friday when our new challenge is posted! 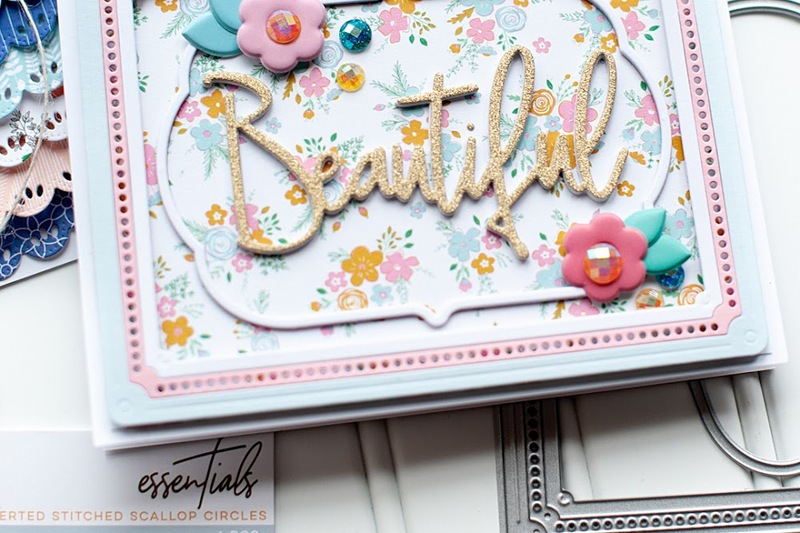 Absolutely amazing, I just love this card, the layout is superb and love the flower/ribbon cluster. Thanks for sharing with us at The Ribbon Reel this week! Oh my goodness!! This is just jaw-dropping - what a simply exquisite card. Thanks so much for joining us at The Ribbon Reel this fortnight Lea!